Staff and stringer photos from the 09.23.15 edition of the Muskogee Phoenix. 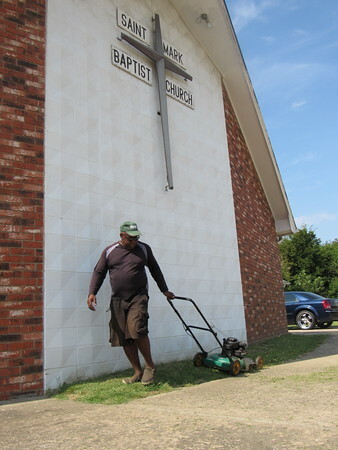 Gary Warrior mows the grass at St. Mark Baptist Church, 1020 S. Main St. Though it is fall, weather is expected to be warm through Saturday, with temperatures in the mid-80s according to Muskogee’s AccuWeather forecast.